On arrival at Guwahati, proceed straight to Kaziranga National Park (5 hr 30 min). En route, halt and stretch your legs. Have some light refreshments if needed. Arrive at Kaziranga. Kaziranga National Park, a World Heritage Site. is the largest undisturbed representative area of Brahmaputra valley. 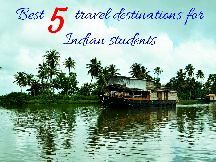 Its 430 square kilometers of swamps and grassland with tall thickets of savannah elephant grass and patches of evergreen forest support the largest number of one horned rhinos on the Indian subcontinent and offer you some of the best views of wildlife from the back of an elephant or from a four wheel drive vehicle. Kaziranga is not all about Rhinos. Apart from 70% of the world's endangered One-horned Rhinoceros, the Park sustains half the world's population of genetically pure Wild Water Buffaloes, over 1000 Wild elephants and perhaps the densest population of Royal Bengal Tigers. Beside this the Park has more than 483 species of birds, 18 of them are globally threatened species. Because of the varied habitat-types that the Park comprises of as also of the strict protection accorded to them birding in Kaziranga is very special. 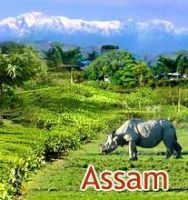 The easy accessibility to wildlife is the secret of Kaziranga's popularity among wildlife lovers and tourists. With its primeval vegetation, it presents a view of what the Brahmaputra valley must have been years ago, before it was touched by cultivation and civilization. Engaged in wildlife conservation since 1926, the park is on the National Highway 37, which passes along the park and is almost midway between the two major cities, Guwahati and Dibrugarh, amidst the undulating landscapes of the world's oldest tea gardens outside China. Depart from your HOTEL on an early morning for elephant ride in search of the rhino. 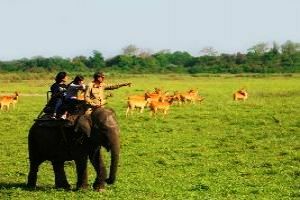 Elephant safari is the most enjoyed safari to explore the wide varieties of wild life in the Kaziranga National Park . The vast area covered by the Elephant Grass can be best viewed when you are on an elephant's back. Here you get an opportunity to see herds of Indian Elephants, One-horned Rhinoceros and many other wild animals from a very close distance. Return to your lodge after the 2 hr (approx) safari for breakfast. Plus with dawn breaking over the beautiful National Park, this safari is an amazing experience. After breakfast check out, pack your bags and proceed to the Western Range of the Park. It takes 25 minutes by jeep to reach the entrance of this Range. The route traverses the southwest portion of the park. This range has maximum short grass areas and is the optimum habitat for Rhino and Water Buffalo. A round of the entire circuit is around 20 km. High herbivore densities around these wetlands are characteristic of the habitat. Return for a very early lunch. After lunch Cross the mighty Brahmaputra River for Nameri National Park. The road after Tezpur is scenic, enroute you will see the distant mountains of Arunachal Pradesh . 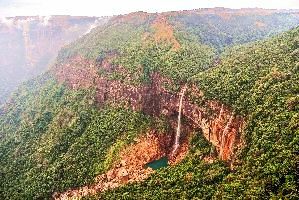 Nameri Located on the banks of the Jia Bhoroli River and on the Assam-Arunachal border, it opened in Nov 1998 and is home to the white winged duck, Sambhar, Barking Deer, Hog Deer and Elephants. Jia Bhoroeli flows along the southern periphery of the Park. Dinner and overnight at Nameri. After breakfast, proceed by car to the boat embankment point (8 km) and come down by boat on the snow-fed Himalayan river (rubber dinghies oared by expert tribal boatmen). This is not a rafting activity, but something that is rather unique to the Jia Bhorelli River. 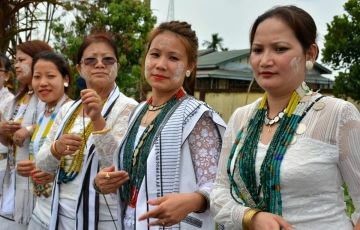 At a leisurely pace for over an hour, with the warm welcome rays of the sun bearing down upon the rafters, bump down the gently flowing crystal clear waters of the river with the snow clad peaks of Arunachal looming over the dense Nameri jungles to your left. Midway, halt on a small rocky island. Later, proceed on the 167 km hill road to Dirang. Within half an hour cross into Arunachal Pradesh at Bhalukpong and begin the steep ascent to Bomdila and further 2 hrs away to Dirang (180 kms/5 hrs). The road now cuts across probably the best forest cover now present in Arunachal Pradesh and the views are truly magnificent. En route stop at the orchidarium at Tipi. Stop for lunch at Bomdila. After lunch, proceed towards the spectacular Dirang valley which is Monpa tribe area. Located in a spectacular valley, Dirang is famous for its apple orchards, sheep breeding farms and natural hot springs. The hot water springs in Dirang is considered holy by many who travel to them for a dip. Dirang is ideal place for adventures like trekking and hiking. Dinner and overnight at Dirang. 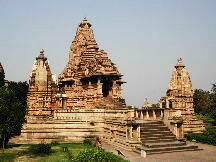 Today enjoy the day soaking in the splendour of the Dirang Valley and its neighbourhood. After breakfast visit Dirang monastery, which is under the Nyingmapa sect of Tibetan Buddhism. Later Visit Sangti Valley. Situated along the shores of Sangti River, 25 km from Bomdila near Dirang, the Sangti Valley is one of the seasonal homes of the majestic creature called the black-necked crane that flies across from China and perhaps Leh, right into its laps. Wherever possible stop near mountain streams and waterfalls and go for long walks. Enjoy a picnic lunch at one such halts near the waterfalls/streams. Return to your HOTEL IN the evening. Dinner and overnight at Dirang. Today after breakfast, depart Dirang for a fascinating drive to Tawang. The road moves along the Dirang River for 10 kms and then the climb starts. After 51 kms (roughly 2 hours) reach the Sela Pass. Situated at an altitude of 14,000 ft. this route to Sela Pass from Dirang is sparsely populated and the forest cover is alpine. This famous pass is covered with snow for most of the year as is the Paradise Lake, a small lake, which is frozen at this time of the year. From Sela it is downhill to Tawang Chu River (49 km/1 hr 40 min). The drive now is bewitching with piercing snow peaks towering above you, waterfalls (some frozen) at every corner and a gushing Nuranang river accompanying you all the way! Expect snowfall on the way. This region was the scene of heavy fighting between Chinese and Indian troops in the war of 1962. 1 hr from Sela as you cross the Tawang Chu, take a diversion to visit the spectacular Nuranang Falls where scenes from the SRK-Madhuri Dixit starrer “Koyla” were shot. Tawang Township (alt. 10,000 ft.) is situated on the north bank of this river and it takes 1 hour from the Tawang Chu Bridge. Arrive and check into your HOTEL. 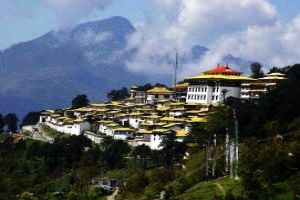 After lunch visit the famous Tawang Monastery. The 300 year old Monastery, locally called "Gompa" is considered to be the oldest in India and second largest Monastery in Asia after Lhasa in Tibet. The Monastery stands on the spur of a hill over 12000 ft. above the sea level. It accommodates over 500 monks and houses priceless Buddhist texts and scriptures. The Tibetan influence here is unmistakable, with the elaborately painted wooden windows and other motifs. Prayer flags flutter in the breeze and inside, the monks light lamps and drone in joint prayer. An 8mt high gilded statue of the Buddha is seated here, as are numerous ancient Thankas or traditional paintings and manuscripts. Dinner and overnight at Tawang. Your return journey begins with your drive to Dirang. 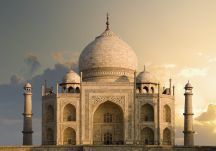 Catch up on the sights you might have missed out before. Arrive Dirang and enjoy lunch after your scenic ride. Rest of the day at leisure. Experience the locale flavour - head out on walks and interact with the locals to enhance your experience. Return to your HOTEL. Dinner and overnight stay at Dirang. After an early breakfast, depart for Guwahati. Time permitting, visit the famous Kamakhya temple. Dedicated to Goddess Kali, this temple is located atop Nilachal Hill overlooking Guwahati. After breakfast transfer to Airport / Railway Station for the onward destination.